When you have children, sometimes it can be tough figuring out what to do with them. I don’t mean parenting-wise but how to keep them active and entertained. The park is an easy and inexpensive option. When the rainy season starts, though, new options for play are needed. Even though California is in a horrible drought now, we’re hoping a wet season is on its way. That means local parents should start scoping out indoor playgrounds. Fortunately, for those in the San Francisco Bay Area, a new venue recently opened. 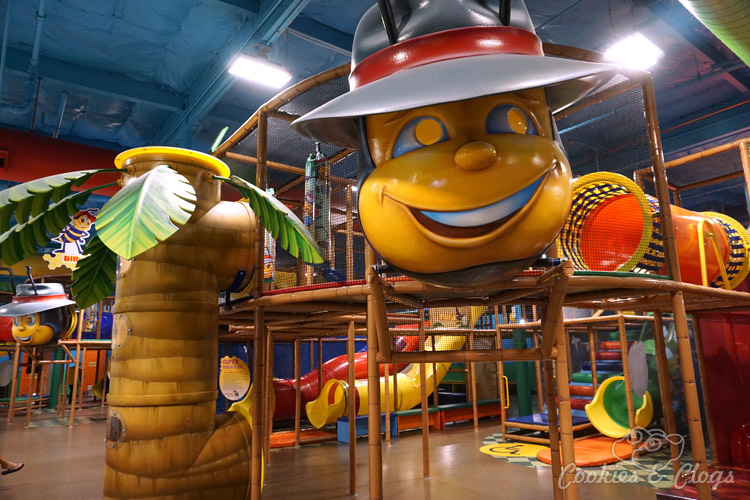 Billy Beez is a 26,000 sq. ft. play space filled with both toddler- and adult-sized structures at Westfield Oakridge in San Jose. New to the Northern California area, Billy Beez has been warmly welcomed by the community and is thriving. I decided to pop in to see what the excitement is all about. This place is huge! I was glad to have a personal tour guide since I had no idea where to start exploring. 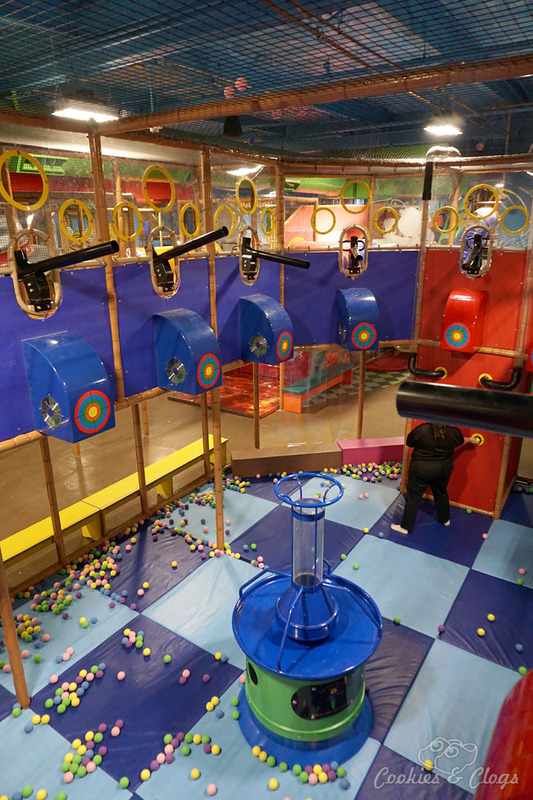 First, we took our shoes off (socks are required) and entered the Ball Blaster Arena. Kids can send foam balls floating in the air or put them in chutes flowing to the upper level. Or, children can take the reigns of a Ball Blaster and aim for the targets. The blasters cannot be pointed downwards, though, so parents don’t have to worry about their children getting beaned in the head from above. The toddler play structure is perfectly sized for tiny climbers. For those that need or want more imaginative play, though, there’s a mini city and shopping street for hours of make-believe. Kids can play house, work in a pizzeria, go to the bank or post office, tend the garden, and direct traffic. It’s all so adorable! Of course, the main attraction is the area for school-aged children and up. Not only does the main play structure stretch across most of the space, it’s also all connected. There are ramps, wavy slides, obstacles, and more. My tour guide described it as a waterslide park without the water. After trying a slide for myself, I would have to agree. The weight limits 720 lbs. per step so it’s fine, even encouraged, for parents to climb along with their children. At 5 foot 3, I was able to stand up straight as I went through the structure. Those 18 years of age and above do need to have a minor with them to go on the structures. Would older ones even enjoy this? Definitely! The obstacles are a blast and some slides are actually crazy fast! So far, several businesses and parties have rented the venue (after mall hours) for private events. Can’t you just picture a group of adults free to run around and climb like big kids on a jungle gym?! Fun! As for teens, they’ll love Glow Nights. Friday and Saturday evenings, lights are dimmed, music is play, and $2 glow necklaces are for sale. I can’t wait to bring my daughter and her friends for this! There is also a café on-site. This operates as a separate business and has been certified with allergy training. Parents should notify the person at the register of any food allergies so they can take care to avoid cross contamination. Gluten-free nuggets are oven-baked, fruit will be available, and more options are on the way. The entire facility is peanut-free. You can also tell the front desk about your child’s allergy so they can give your child an additional wristband to prevent others from sharing food that might contain specific allergens. Near the café are rooms that can be used for events and parties. With such an influx of people, sanitation and safety are given high priority. Bathrooms are cleaned every half hour, structures are wiped down several times throughout the day, and every evening play objects are put into a sanitizing solution. Upon admission, parents are given a card to scan and children have wristbands with corresponding information. This ensures that each child leaves with the parent or caregiver they arrived with. Employees are stationed at gates and alarms are on so no mini-escape artists can slyly slip out either. An all-day play pass is $19.95 for ages 5-17and $9.95 for toddlers. Accompanying adults are an additional $6.95. Guests can also take advantage of the 10-day pass (does not have to be on consecutive days) to save on admission and includes one adult to enter for free each visit. Parents will enjoy the Date Nights offer. Drop off the kids (ages 4-12) for $29.95 each and get 2-1/2 hours to yourselves! 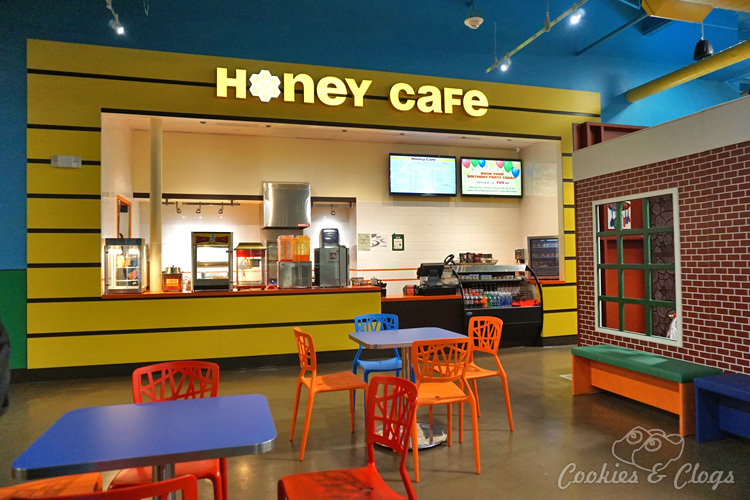 Billy Beez is a fantastic addition to the Bay Area. 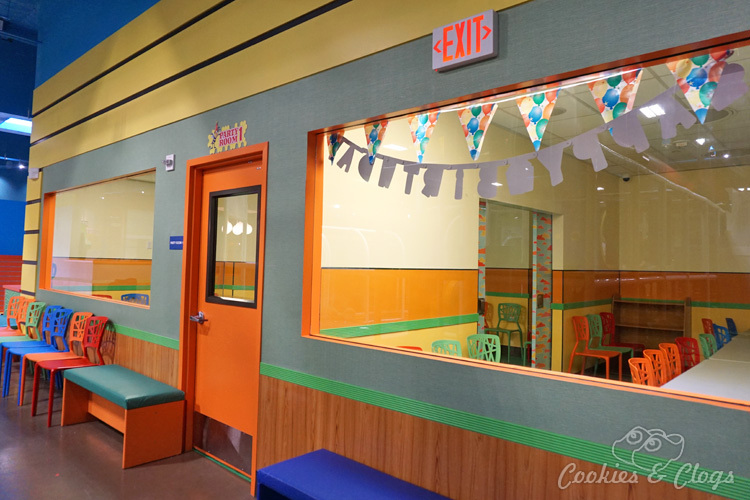 In addition to all-day fun for both the little and big kids, the indoor playground will be the perfect spot to warm up when the weather cools and it starts raining a lot (we hope). Sound like a venue your family would enjoy? Then swing on by! Just make sure you part near Sears so you don’t have to trek the entire length of the mall to get there (been there, done that). 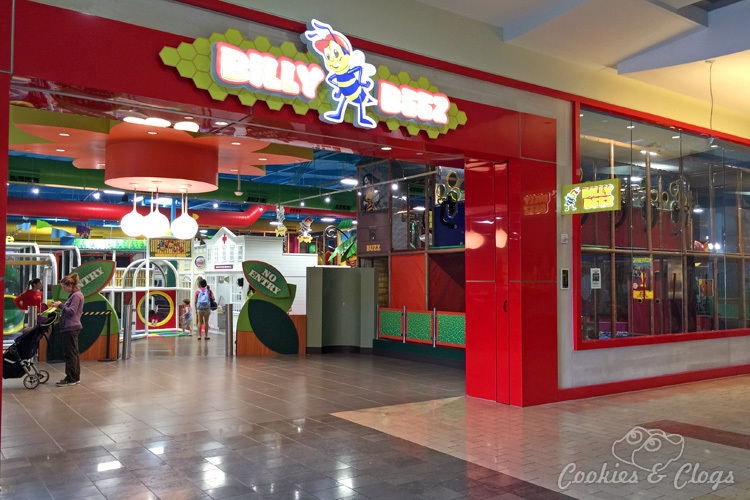 To get the latest information on what’s happening at Billy Beez at the Westfield Oakridge in San Jose, check out the links below. I was compensated to visit the location and to share my experience there. All opinions are my own. First of all, that place looks incredible!!! My mom has something kind of similar near her, and my kids love it, even though they’re getting a little old. Secondly, I grew up near Oakridge!! I would have gone to Oakridge Middle School if I hadn’t moved. Crazy! 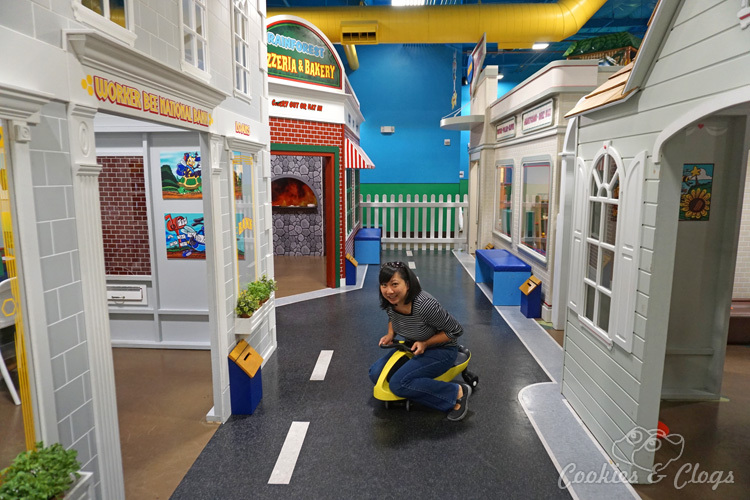 I was surprised by how fun this place was and that it’s designed for even older teens and adults! What?! How did I not realize you were a Cali girl?! Cah-razy! No, I don’t think we did. Well, happy you’re headed home for the Disney event then 🙂 The weather has been pretty nice! Well next time we’re on a trip together, we can talk all about CA! I love whenever I can make it back to the Bay Area, but I don’t know when I’ll be headed there next. I think it’s been a year since I was in the area. Sounds great until i hear the part of an adult needed to pay to sit and watch my kids play. And same for a party package! That’s where I turn away! Yes, in that case the 10-pass is definitely better since you get a discount AND the adult entry is included!